With MullenLowe, the cruise line has created a way to livestream what's happening from 150 feet below the ocean's surface. Royal Caribbean is looking to patent its latest invention used to target "maturing millennials." 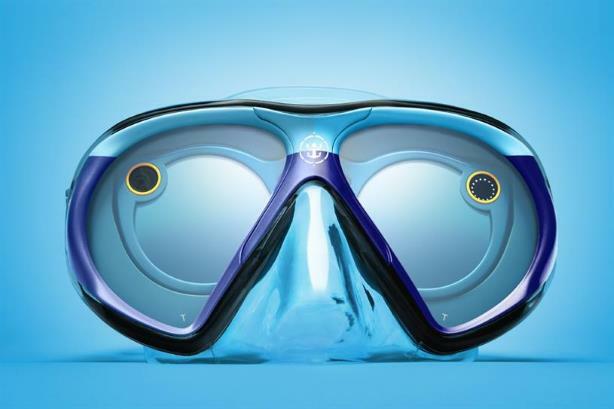 Part snorkeling mask, part Snapchat Spectacles, the "SeaSeekers" dive mask can livestream photos and videos from depths of 150 feet. The creation is the latest edition of the marketer’s #SeekDeeper campaign with lead agency MullenLowe, which aims to change the perception through social media initiatives that cruises are full of silver-haired retirees. Past efforts include hiring an intern who traveled for free in exchange for posting adventurous photos to Instagram and livestreaming Periscope content on New York City billboards. "Our sweet spot is the maturing millennial, in their late 20s and early 30s with kids, to grow our brand," said Royal Caribbean CMO and SVP of marketing Jim Berra. "As you start to find vacations that work for your family, you tend to repeat those experiences. We have a great chance to reach that audience and create loyalty that will last decades." The SeaSeekers dive mask will make its Snapchat debut on Tuesday from Cozumel, Mexico, where marine wildlife photographer Roberto Ochoa will dive alongside whale sharks. Two additional dives are planned for later this week with marine biologist Gaby Nava in Puerto Morelos, Mexico, and competitive free diver Ashleigh Baird in Belize’s Blue Hole. "This is the first time we’re applying for a patent," Berra said. "We’ve been very successful with the testing, and we think as Spectacles become more prevalent, we’re offering a way to use them that will be very appealing." He added that the mask’s Snapchat Spectacles are interchangeable, so if guests have their own pair, they can swap them out and continue to use the glasses on land without the mask—increasing Royal Caribbean’s exposure on social media. While the cruise line claims to be the first company to use Snapchat Spectacles underwater, it isn’t the first entity to take submerged digital photos. Many have tried with their smartphones but were left with unsatisfying results due to poor lighting and an unsteady camera. Yet Berra is confident that Royal Caribbean’s attempt will be successful. "Some of the best ideas make you nervous," he said. "You ask yourself, ‘Can you execute it?’ And you think, ‘What might not work?’ But you go on the journey because it’s compelling."